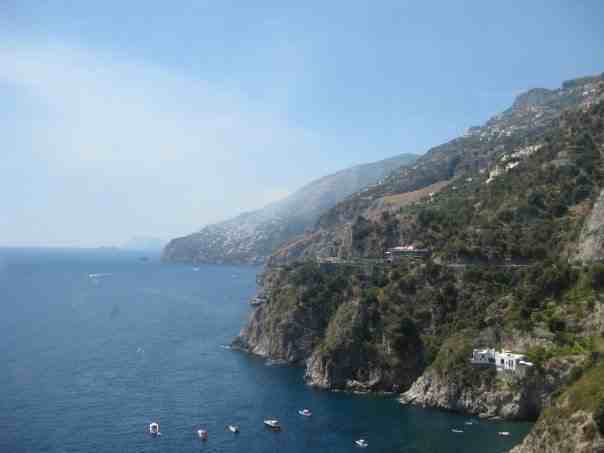 Today I am going to reminice about when I went traveling around Spain & Italy just after graduating Uni. 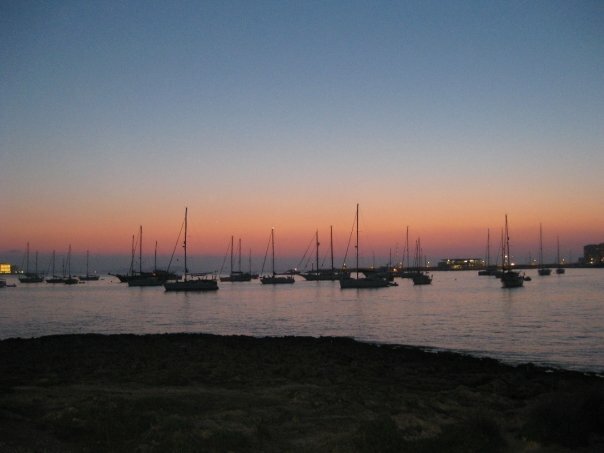 I went on holiday to Ibiza with 20 of my mates, an unbelievable holiday that makes me smile just thinking about it. The live DJ set we saw were out of this world and the clubs were amazing, best night hands down was Space with Green Velvet and Carl Cox playing AMAZING! The feeling of pure excitement and enthusiasm and not a care in the world. After all I had worked hard at Uni for the past 3 years and I had got a 2.1 class degree so I was pretty happy to say the least. After Ibiza Myself and Lizzy headed to Barcelona & Madrid. Where we experienced the familia sargidia, 40 degree heat, beaches and sleepless nights in airports. We also went to the Sonar music festival in Barcelona, which was great. After scoring a free flight back to the UK, I decided that I would tag along with my little sisters travels and we spent a month backpacking around Italy using the Eurorail to get around. Looking back on it now the only real planing I did was buying a Lonely Planet guide- Europe on a Shoestring lol. Whilst in spain we went where ever the cheapest flight took us, something I had always wanted to do, and what I do now if I just want a cheap break. Why not hey whats the worse that can happen. Sorry for the bad joke/title but I couldn’t resist. All over the country people, maybe even you, are graduating from uni in the coming days, weeks, months. Today I went to see my little sister graduate, from London College of Fashion, with a 2.1 in Footwear design, not bad hey. To add icing to the cake she is also working with Nike on a sustainability project, so as you can imagine I am a very proud sister at the moment. Now enough of all the mushy stuff =) lets talk about fashion. As you can imagine it was quite a fashionable event, everything from shabby chic to just plain chic. One of the most popular looks for men were brogues, socks and skinny jeans rolled up, whilst the Ladies were rocking dresses, & high waisted mid length print skirts. So what will you be wearing to yours? Do not fear I am here to help, hear are some top tips to keep you looking effortlessly cool while you graduate. 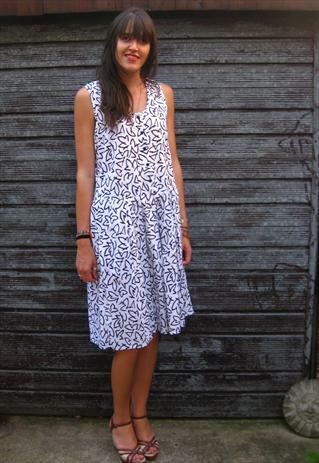 This monochrome printed dress is perfect for a graduation, with its loose silhouette, drop waist and pleated bottom it is flattering on all shapes. If you want to be centre of attention wear with black wedge high heeled ankle boots with cut out heel detail. 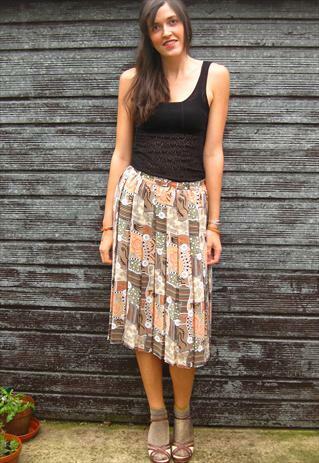 Make this pleated floral skirt even cooler by wearing it with lace, a trend that is hear to stay so learn to love it=). To complete the look wear with black patent sandals, like below, and a boxy cropped leather jacket! Oooo sooo chic! 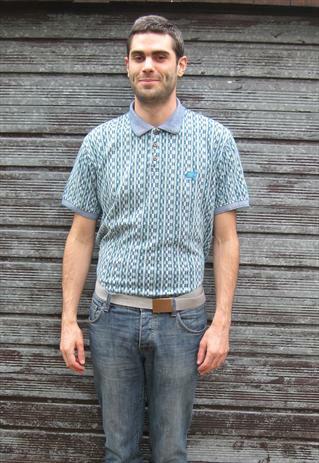 And for all of the Gents out there the staple for your wardrobe is the printed polo shirt. Not only does it look great with jeans but it would look Dapper worn with a suit. So now you all know what to wear I hope you all have a fantastic day. Today Chris Moore gave a speech as he was give an honouree degree for his lifetime of work a fashion photographer. I loved his speech, he came across as being very humble and funny, he said “never give up” and I really do believe that if you work hard that we can all achieve our dreams.